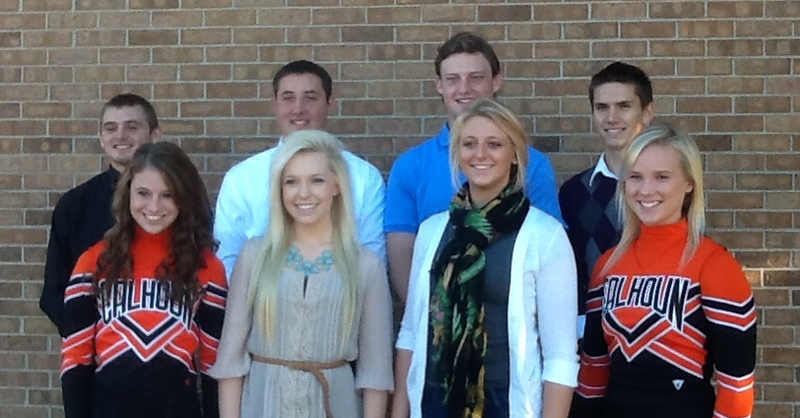 Congratulations to the 2013 Homecoming Royalty. Prince and Princess were Joe Genoways and Brianna Namuth. 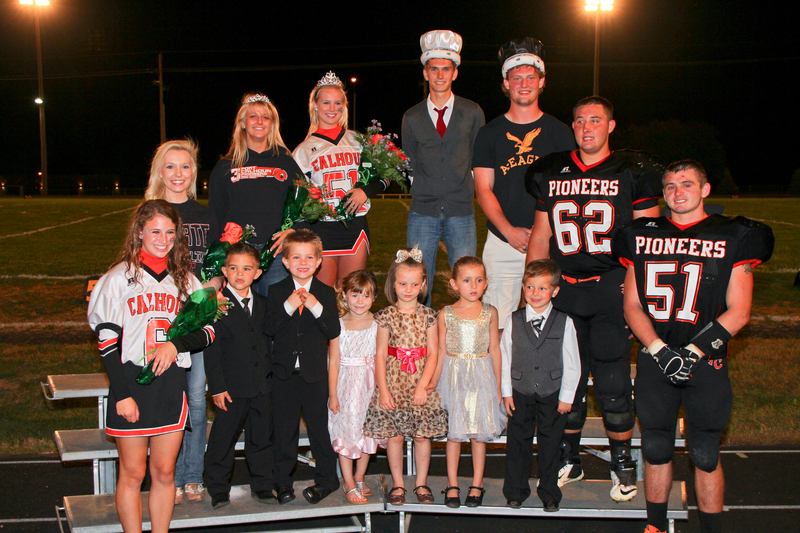 Ben Everswick and Anna Koenecke were King and Queen. This entry was posted in Uncategorized on September 30, 2013 by Jennifer Gepson. This past weekend the varsity team played at the Tekamah-Herman Invite. We come home with a runner-up plaque! They won against Arlington and Lyons-Decator, but lost to Tekamah-Herman. So far the team’s record is 6-6. This entry was posted in Uncategorized on September 27, 2013 by Jennifer Gepson. They went 2-1 to receive the runner up trophy. They defeated Omaha South 12-4. They defeated Omaha Duchesne Academy 8-0. They were defeated by Waverly 2-7. The Pioneers’ record is now 9-6. This entry was posted in Uncategorized on September 24, 2013 by Jennifer Gepson. SkillsUSA will be hosting the Hog Roast on homecoming night, September 27th. This is our annual fundraiser to help send students to compete in SkillsUSA State competitions. Members of the SkillsUSA club will be serving food in the shop from 4:30 to 7:30. Tickets will be pre-sold by the SkillsUSA members, theses sales help the students offset their cost of going to state, so if you know of a SkillsUSA member please support them. 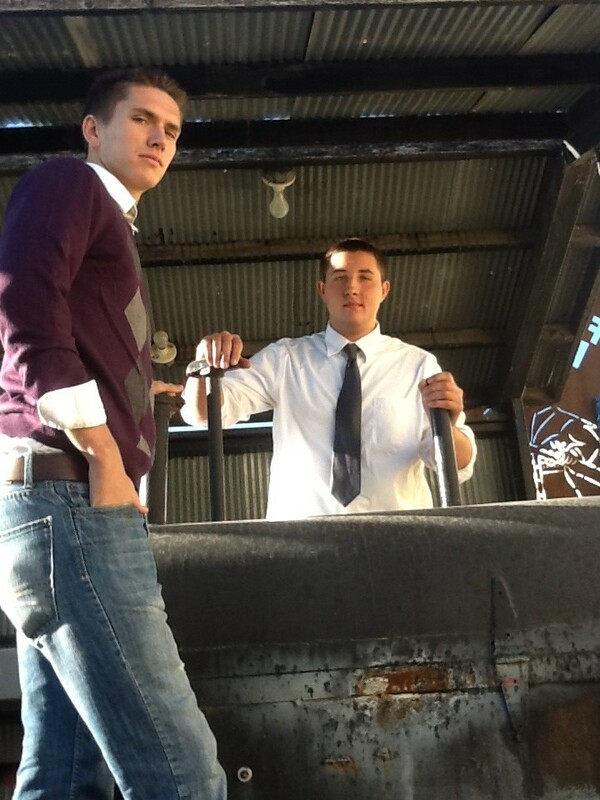 Tickets for this years event are $7 for adults, $6 for SkillsUSA/VICA Alumni, $5 for children 12 and under. Tickets will also be available at the door. Donations are welcome, thanks to all of the community members for their support. This entry was posted in Uncategorized on September 20, 2013 by Jennifer Gepson. Homecoming candidates this year are as follows. This entry was posted in Uncategorized on September 19, 2013 by Jennifer Gepson. The Varsity Cheerleading squad held their annual Elementary Cheer Camp night on September 6. They had an amazing turnout this year. The squad enjoys teaching the young cheerleaders cheers and a short dance to perform during the football game. All of the participants really seemed to enjoy themselves. This entry was posted in Uncategorized on September 18, 2013 by Jennifer Gepson. 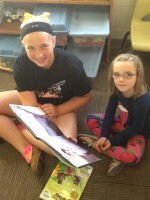 A Friday tradition at Fort Calhoun Elementary is the first graders and sixth graders reading together. This gives the younger students a chance to develop a bond with the older students while working on learning to read and working on listening skills. 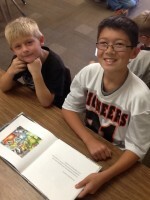 It also allows the older students a chance to model proper behaviors and reading strategies. 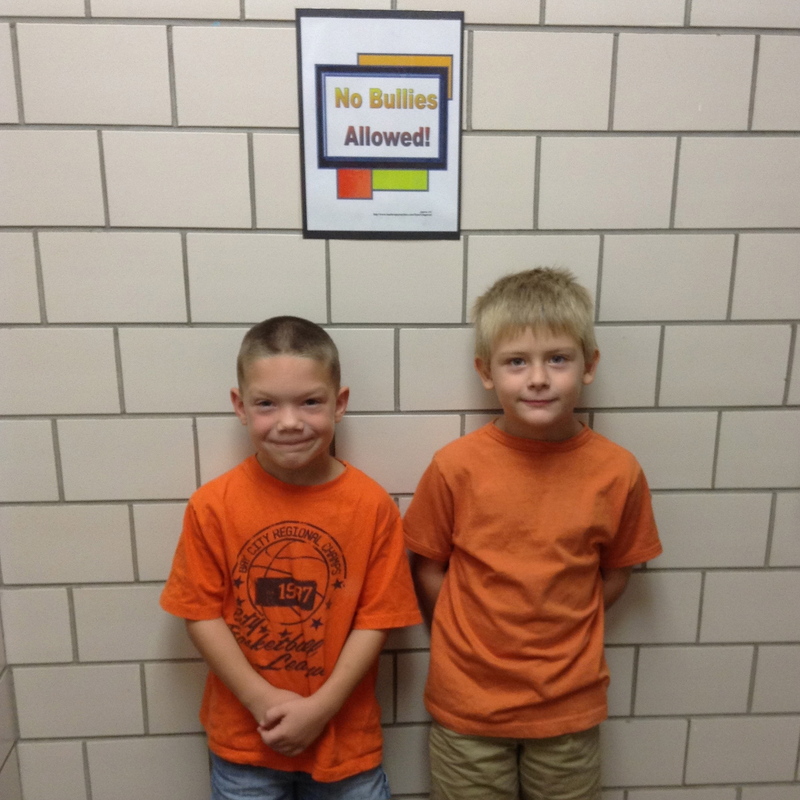 Fort Calhoun Elementary united together on Wednesday, October 9, and supported students being bullied everywhere. 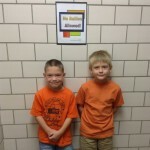 It showed them that they are not alone – that someone cares by wearing orange on October 9. 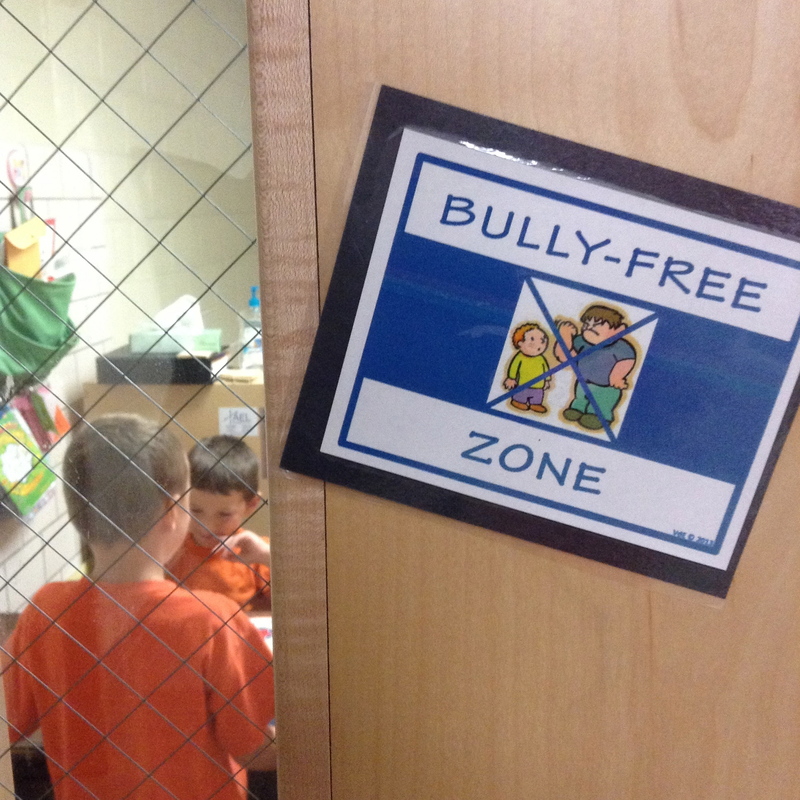 Together we can lead the movement against bullying! This entry was posted in Uncategorized on September 13, 2013 by Jennifer Gepson. 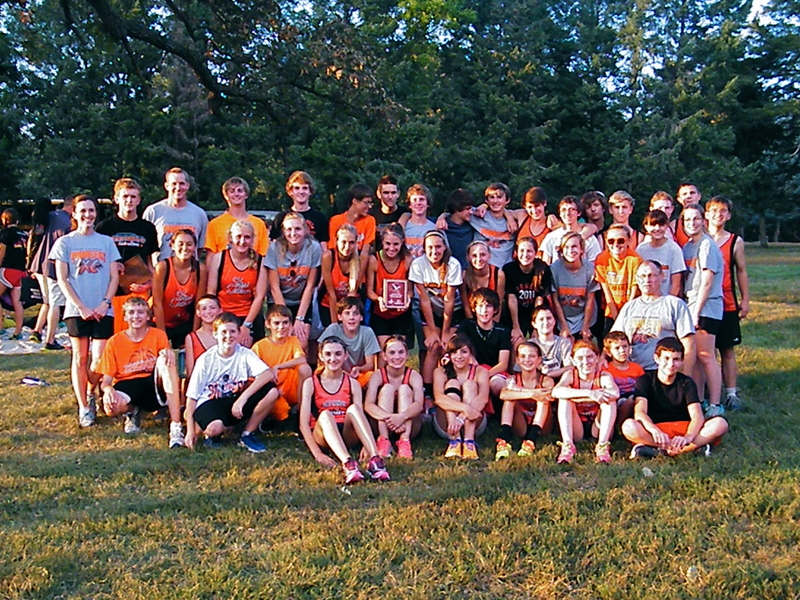 Fort Calhoun did well at the Arlington Cross Country Invite. The girls were 2nd and the boys were 1st. Girls that medalled: Mandy Hansen – 4th, Katie Edie – 5th, Abby Hillmer – 6th, Sarah Determan – 8th, and Anna Gepson – 10. Boys that medalled: Ben Everswick 1st, Alex Tietz – 2nd, Adam Robinson – 4th, and Sean Ramey – 9th. The junior high teams also had Boys 1st and Girls 2nd. 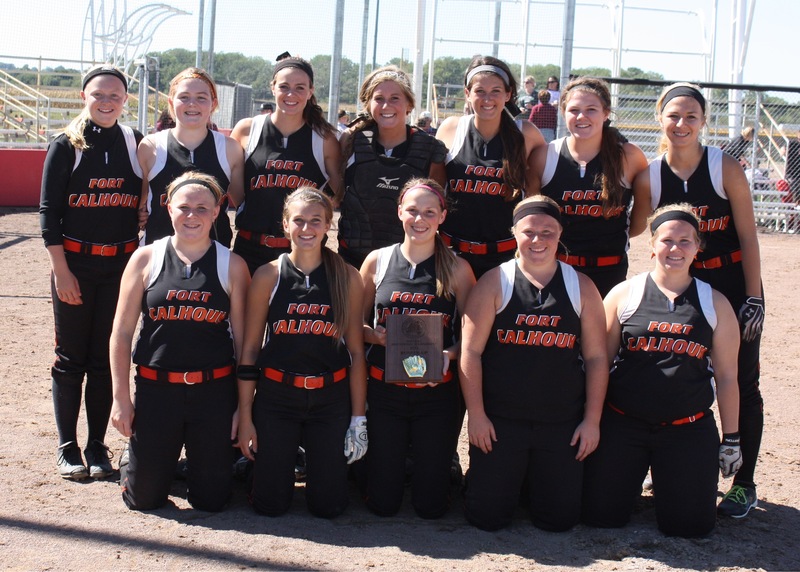 The Fort Calhoun Pioneers won their home invite on Saturday September 7th. They defeated Logan View the first game in three sets. The scores were: 25-6 / 21-25 / 25-22. In the championship game they defeated David City in two sets. 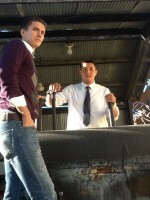 The scores were: 25-11 / 25-13. The Pioneers next contests will be at the Malcolm Invite which take place Thursday and Saturday this week. Great Job and Good Luck Ladies! This entry was posted in Uncategorized on September 13, 2013 by Nick Wemhoff.